Dogwood Canyon Nature Park is a great place to enjoy outdoor activities in Branson with the chance to discover the beauty of flora and fauna this spring season. 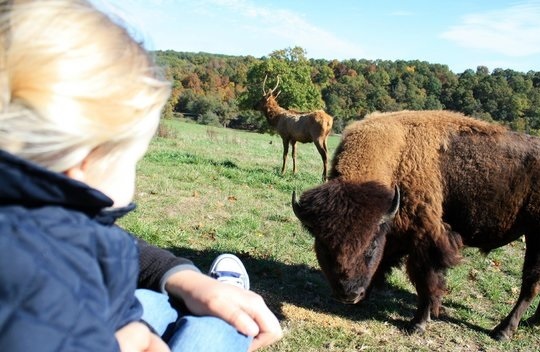 Located south of Branson, near Missouri-Arkansas border, this nature park offers tons of fun activities that can be greatly enjoyed by people of all ages this spring season. Some of the outdoor activities that visitors can greatly enjoy at Dogwood Canyon Nature Park include Self-guided Walking or Biking Tour, Guided Tram Tours, Horseback Riding, and Trout Fishing. The park also offers visitors Adventure Pass which allows them to spend a full day outdoor adventure. In the park, you’ll find Outdoor Café to have lunch and a general store that has a wide display of gifts and souvenir items. This nature park offers visitors Private Jeep Tours, Segway Tours, and Guided Fishing. The unspoiled Ozarks landscape which has an area of 10,000-acre is a great place to enjoy biking, leisurely walk, and trout fishing on the canyon floor. Families and corporate groups can avail horseback riding and cabin rentals inside the park. The park also welcomes group tours on motorcoach. Your visit to Dogwood Canyon Nature Park gives you the chance to see spectacular views of waterfalls, forests, and even herds of wild animals. The two-hour wildlife tram tour will take you through canyon and introduce you to many unique historical, archeological, and scenic sites. From the majestic waterfalls to large herds of elk, white tail deer and even Texas longhorn cattle, the tour guides explain the environment and the history of Dogwood Canyon. The caves that are located in a steep bluff are among the historical archeological sites in the canyon that belong to the ancient native Americans. In the park, you’ll find unique trout stream environment that offers visitors a chance to angle trout fish. The spring-fed water in the stream is so clear that large trout can be seen wading at the bottom of the stream. Fishing equipments and paid fishing lessons can be availed at the park. You’ll also find in the park, the Glory Hole which is a beautiful pool of clear water that is fed by a waterfall. Dogwood Canyon Nature Park is a great place to enjoy great outdoor activities this spring season and discover the beauty of Branson’s flora and fauna.